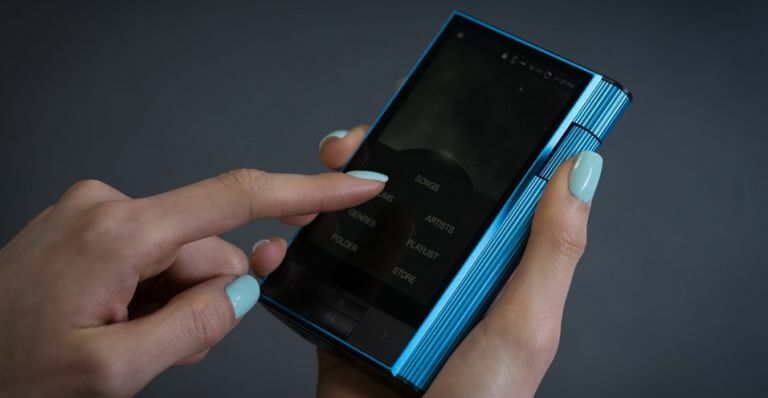 Audio specialist Astell & Kern has just released its most powerful portable player to date - the Kann - and it's packing an impressive amplification level, high-quality spec and flexible feature set that’s never been seen in a one-box package under £1000. The Kann is practically bursting with features and serious specs, including 32-bit/384kHz high-resolution PCM audio and DSD audio (for native playback, regardless of the format - and that includes Quad-rate). It also supports full-size SD and microSD card slots for additional storage (up to 576GB, with the player itself shipping with 64GB built in) and comes with a USB-C connection for faster charging and transfer speeds. Oh and it comes with a huge battery than any previous mode and a built-in headphone amplifier. The Astell & Kern Kann is out now. You can order your very own portable music heavyweight direct from the firm for only £899. Taiwanese audio and visual solutions specialist Optoma has just announced the latest addition to its growing range of projectors - the gaming-focused GT1080 Darbee projector. It features the firm's Darbee Visual Presence image enhancement technology for that extra level of clarity (in a beautiful Full HD, 1080p), as well as an Enhanced Gaming Mode with an impressive 16ms response time – perfect for games that depend on rapid reactions. This 3,000-lumen-strong projector also has a short throw lens, enabling the GT1080Darbee to be placed on a coffee table and project a stunning 100 inch Full HD 1080p image on a flat surface or screen from just over a metre away. You can order one today for only £729.99 direct from Optoma or other electronic retailers. MMD and Phillips have just new announced a brand new display, 34-inch 349X7FJEW display is designed in an UltraWide 21:9 format, giving users plenty of room to multitask. The CrystalClear Quad HD display can also be titled, so you can rest assured on an angle to suit your computing needs. And you can enjoy streaming input from two systems to the same widescreen monitor thanks to Philips' own MultiView feature - so you can make use of all that curved real estate tiled into two equal sections, or one of the feeds can be displayed in picture-in-picture (PiP) format. The new Philips 349X7FJEW X Line display, with an RRP of £759, will be available later this month from most electronics retailers.